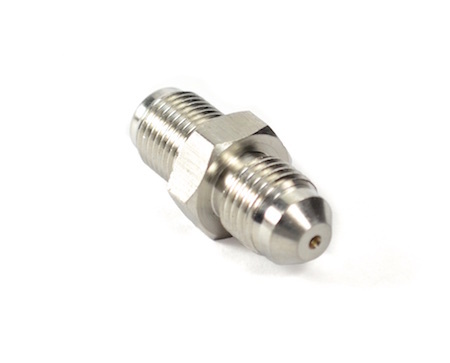 -4 (-4AN) Size oil inlet restrictor fitting (0.035" orifice / hole size) for Garrett GT and GTX Ball Bearing Turbochargers. Output is -4AN male flare. 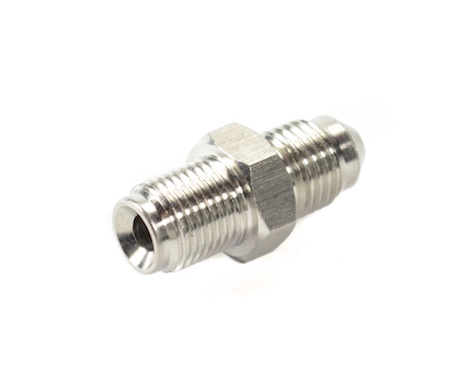 High durability and reusable Stainless Steel material. 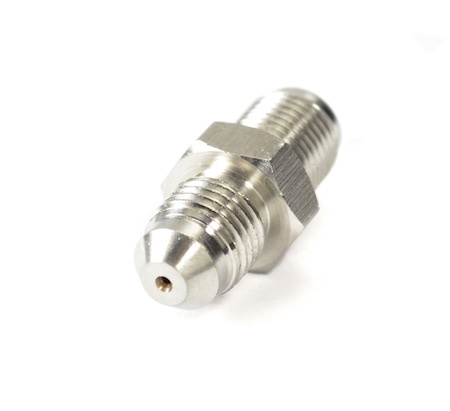 Use with any -4AN oil feed lines with a -4AN female hose end! Fits Garrett GT25R, GT28R, GT30R, GT35R, GTX28R, GTX29R, GTX30R, and GTX35R series models.